Written by John on October 28, 2016 . Posted in Road Trip, Summer maintenance. School is out and summer is here. That means it’s prime time for vacations. It’s a good year to consider car travel as an alternative to flying. Roadtrips are a great way to save money and time, especially with those long security lines at DIA. We’ve got some great Colorado roadtrip ideas to inspire you as you plan your summer vacations: 1. Southern Colorado Loop Outside Magazine’s Stephanie Pearson wrote about an adventure-packed route that takes you through some of Southern Colorado’s most famous outdoor attractions. You begin the route in Durango with a stop at the Animas River Whitewater Park before heading to Pagosa Springs for a dip in geothermal hot springs. Next, take a drive through Wolf Creek Pass along the Continental Divide on your way to Alamosa. Then head north toward Salida for some white water rafting in Brown’s Canyon. And finally, drive through Gunnison to do mountain biking on its trails. Complete the loop by going out to Montrose and turning south to return to Durango. 2. National Park Loop There are a number of world-famous National Parks in and near Colorado that can easily be reached by car. This roadtrip takes you to Great Sand Dunes, Mesa Verde, Arches, and Rocky Mountain National Park. It’s a great loop for nature lovers or families as kids who can earn Junior Park Ranger badges at each stop. Start by driving south to see the Great Sand Dunes and rent a board to try your hand at sand surfing. Then drive west to visit Mesa Verde’s ancient cliffside dwellings. Continue west into Utah to visit Arches National Park for views of the rugged desert landscape. And finally return to Colorado by way of Rocky Mountain National Park where you can drive Trail Ridge Road, see snowpack year-round and hike through its extensive network of wilderness trails. 3. Four Corners Loop Four Corners Monument is found at the lower west corner of Colorado, and marks the only place in the United States where the boundaries of four states meet. This loop takes you through some of the top attractions in Colorado’s backyard as you drive through parts of New Mexico, Arizona and Utah. Start in Denver and take the road south to Santa Fe, New Mexico. Here you can see Native American art and crafts, taste some fresh tamales or visit an authentic cowboy bar. Then cut across the state to Flagstaff, Arizona, where you can stop over and see the Piney Woods before driving south to the Grand Canyon. Next, head north to Dead Horse point outside of Moab, Utah, to see another grand canyon with a mysterious story. Finally, make your way back to Colorado by way of Grand Junction along the I-70 corridor. 4. Take a History Tour Colorado may best be known for its outdoor sports and natural landscape, but it’s also home to a number of historical landmarks within a few hours of the Front Range. You can check out the Molly Brown House in Denver to see where the Titanic’s ‘unsinkable’ legend lived. Then you could visit Colorado Springs’ Rock Ledge Ranch Historic Site for a taste of the pioneer lifestyle. Or drive an hour south toward Cañon City to see the Royal Gorge Bridge, one of the highest suspension bridges in the world. Then take Colorado-9 up through the backcountry to make your way to Georgetown Loop Railroad, where you can tour abandoned mines or ride the old rails. No matter where the road takes you this summer, make sure to get your car checked out before you hit the highway. A long-haul can make a small problem into a big one. And there’s nothing worse than the possibility of breaking down on the side of the road in a remote area and paying steep repair fees to local autbody shops. We recommend getting a full check-up before you set off on a long-distance roadtrip to look at tires, fluids, hoses, belts and battery. A quick diagnostic will let you know if there are any repairs you should make so you can hit the road in complete confidence. 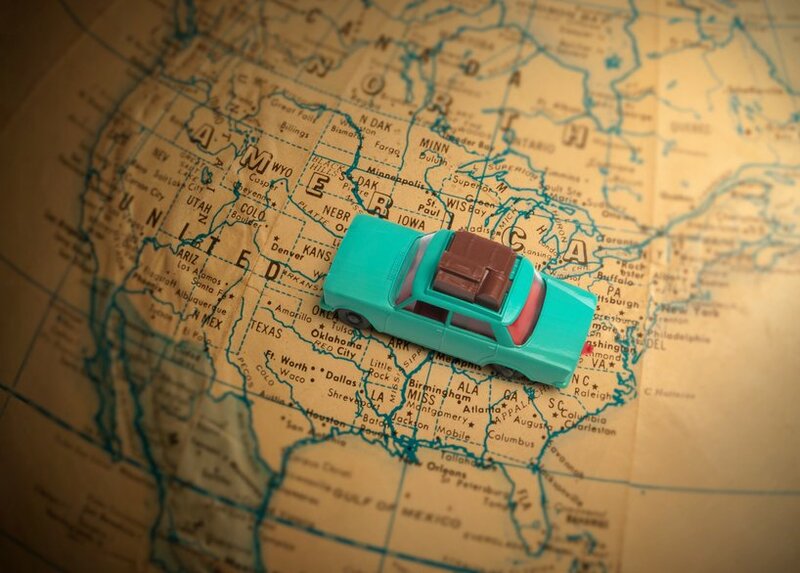 To learn more about our pre-roadtrip auto care checklist, read this blog post. Or you can contact us directly to make an appointment.